But Hollywood cars don't always command such high prices. Often there are multiple versions created for different types of shots and for promotional use, making it hard to to say that one car is definitively "the car." Unlike most TV show cars, the Batmobile really is a singular creation. While there have been many imitations, this really is the only original. The Batmobile started life as the Ford Motor Co (F). 's 1955 Lincoln Futura concept car which, itself, was based on a Lincoln Mark II. Besides its pearl white paint job, the Futura actually looked very much like the Batmobile it would become over a decade later. Famed car customizer George Barris -- also known for creating the Munster Koach for the The Munsters and the Beverly Hillbillies' car -- was tasked with creating the Batmobile in 1966. With a tight deadline, he decided that modifying the Futura, rather than starting from scratch, was the way to go. 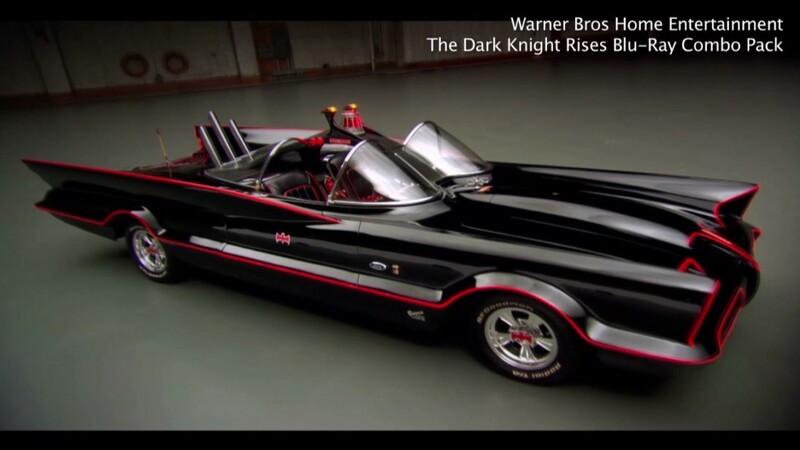 Barris has been the sole owner of the Batmobile since he created it for the TV show. Unlike the Aston Martin's multi-million dollar price tag, Jonathan Klinger, with the collector car insurance firm Hagerty Insurance, thinks the Batmobile will probably sell for a few hundred thousand dollars. The trouble, he said, is that there are so many very good Batmobile replicas around. The only thing that makes this one unique is that it's the authentic original, but hardly anyone would be able to tell that by looking at it. Very good replicas can sell for under $100,000. "I could be wrong," said Klinger. "I'll bet George Barris hopes I'm dead wrong." In an interview with CNNMoney, Barris said he has been offered large sums for the car in the past but he's never considered selling before. He agreed to sell this time, he said, because he thought it was time to move the car out of his studio and put it someplace where more people could enjoy it. Excellent replicas of rare and desirable cars like Plymouth Hemi 'Cudas and Shelby Mustangs often sell for fractions of what real ones sell for, Jackson said. "It's just a matter of where you put the commas and the decimals," he said. "They all slide over for the real thing."